Designed to ensure attendees are more than just well fed during conference, the social programme promises both the grandeur of black tie awards dinners and the “let your hair down” dress up dinner. This year the costume theme is “Stars”. Let your imagination go wild! The Partners’ Programme promises a little bit of pampering, a little bit of eco-awareness, and a whole lot of fun! Reacquaint yourself with old friends and meet some new ones at the Presidents’ Welcome and Pub Quiz. Make sure you find yourself a group of friends covering a variety of subject specialities for the Quiz which will follow the Welcome Function. Beer and wine and non-alcoholic beverages with substantial canapés will be served. Admittance is included in Full Delegate and Partner registrations, also Non-member registrations, Sponsor and Exhibitor registrations. Additional tickets may be purchased for $90 per person plus GST. Dust off your best “Star” theme costume, whether you favour Neil Armstrong or Marilyn Monroe – anything goes that puts stars in your eyes! Admittance is included in Full Delegate and Partner and Non-member registrations. Some sponsors will be entitled to admittance through their complimentary personnel registrations. Additional tickets may be purchased for $140 per person plus GST. Celebrate the achievements of the nominees for Z Energy Leader of Tomorrow and Trainee of the Year at The Blue Baths, a heritage listed Bathhouse located in Government Gardens adjacent to the Energy Events Centre. Admittance is included in Full Delegate and Partner and Non-member registrations. Some sponsors will be entitled to admittance through their complimentary personnel registrations. Additional tickets may be purchased for $80 per person plus GST. Another cause for celebration; join with Hirepool one of the conference partners, in recognising the contribution New Zealand Contractors’ Federation and Roading New Zealand members have made to building New Zealand. Admittance is included in Full Delegate and Partner and Non-member registrations. Some sponsors will be entitled to admittance through their complimentary personnel registrations. Admittance is included in Full Delegate and Partner and Non-member registrations. Some sponsors will be entitled to admittance through their complimentary personnel registrations. Included in the Full Delegate and Partner Conference Registration fee. The Partners’ Programme day begins by joining other delegates at the Energy Events Centre for the conference opening and the ministerial address. Following a quick morning tea, you will travel by coach to Volcanic Hills Winery where you will sample their handcrafted wines from New Zealand’s most recognised and respected wine regions in their brand new wine tasting room at the top of the gondola in the Skyline complex. After a short coach transfer, lunch will be served in the tranquil Mokoia Restaurant at WaiOra Spa Resort on the shores of Lake Rotorua. The final event of the day is a high speed catamaran ride from WaiOra Spa’s private jetty to the secluded Mokoia Island within Lake Rotorua. Take a gentle stroll on a unique guided eco tour of the island and finish with light refreshments and a relaxing foot soak at Hinemoa’s pool. Landing on Mokoia Island is not available to the general public so make the most of this exclusive opportunity! We recommend you wear comfortable clothes and walking shoes, and bring along a warm jacket. Transport: You will be collected by coach from the Energy Events Centre following the conference opening and returned to the host hotels at close of day. As a result of feedback received from previous conferences, we would like to compile a Partner Yearbook to assist the partners to keep in touch from year to year. If you would like to feature in the yearbook, please forward your photo with a brief profile telling us about yourself. We suggest some contact details like an email address or phone number would be useful too. We will collate this information and provide the yearbook to all partners on arrival at registration, so they know who is who without having to read your namebadge! 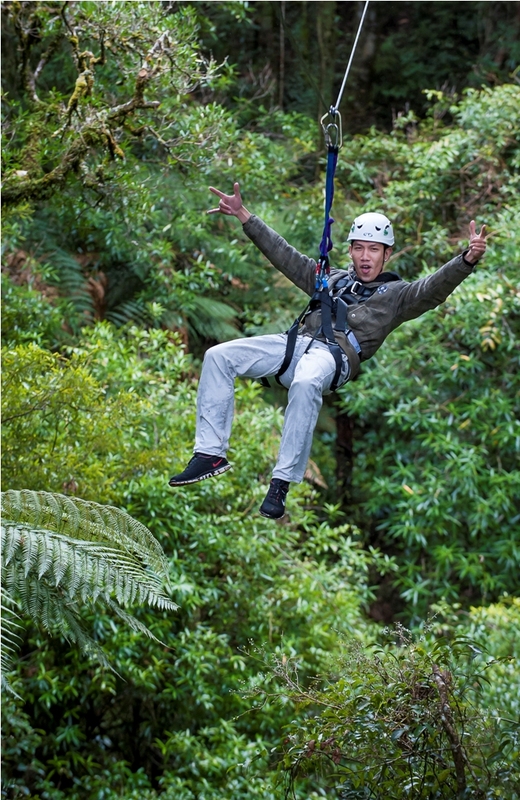 Rotorua Visitor Centre and i-Site provide a full booking service for any local leisure option you would like to pursue, whether it be a leisurely game of golf or the thrill seeking Zipline Canopy Tour. Their booking kiosk will be located in the Energy Events Centre foyer adjacent to the conference registration desk and will be staffed during conference breaks. We encourage you to check out what is on offer; bookings and payments for all activities are to be made either at the kiosk or prior to conference by phoning the Information Centre directly on 07-343 1730. Dress: Rotorua can be cold in winter so we recommend a warm jacket and comfortable walking shoes for these leisure options. Transport: Transport will be arranged for the above leisure options only, with pick up from Energy Events Centre and return to the conference hotels. You are welcome to book an alternative tour, and the i-Site personnel can assist you with arranging your own transport if required.